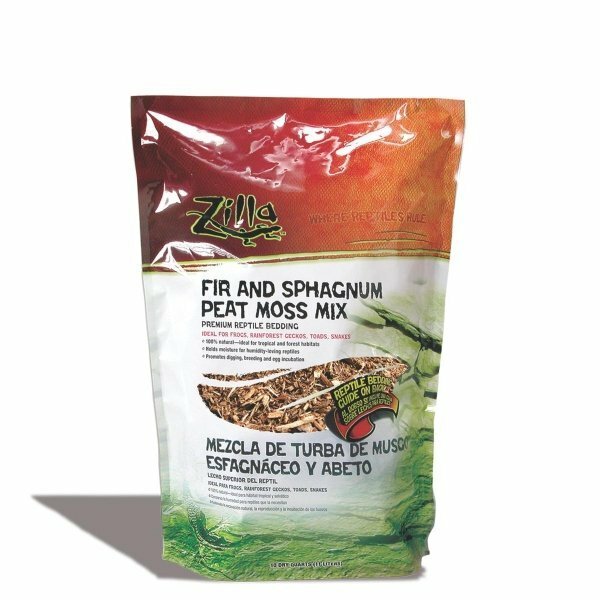 Fir and Sphagnum Peat Moss Reptile Litter is ideal for reptiles who love humid habitats, such as the forest or tropical climates. Helps to promote digging and perfect for reptile breeding and egg incubation. Made with natural and organic materials. Fir and Sphagnum Peat Moss Reptile Litter has different options and/or variations, please choose below. Fir and Sphagnum Peat Moss Reptile Litter is ideal for reptiles who love humid habitats, such as the forest or tropical climates. Helps to promote digging and perfect for reptile breeding and egg incubation. Made with natural and organic materials. Sphagnum moss and fir help to soak up liquid and provide moisture your pet's terrarium. Made in the USA and good for the environment. 100% natural. A unique blend of sterilized virgin organic soil, fine grain sand, vermiculite and peat moss, orchid bark and green tree moss. Completely biodegradable.